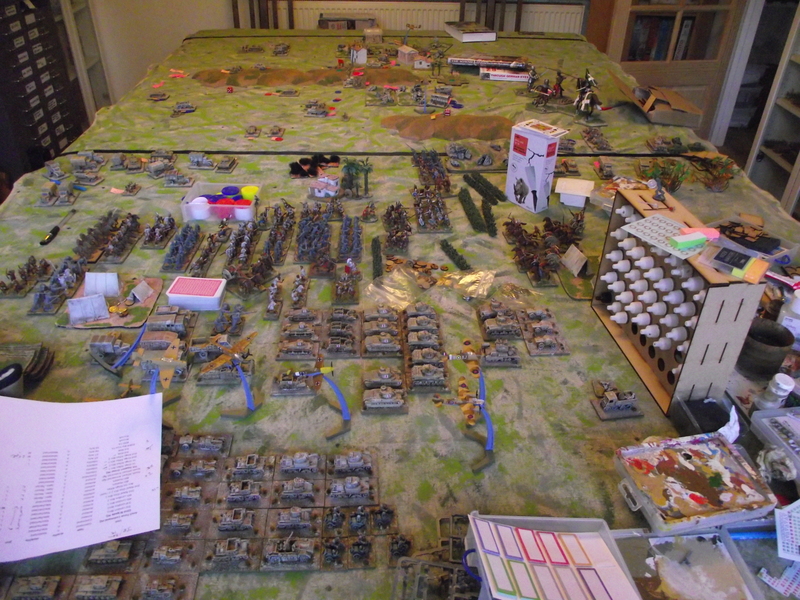 The state of the table after the Christmas games with Kevin………………..some tidying up is needed!! Sharp Practice : I have some Portugese infantry, British cavalry and French Lancers to paint. And some plans for some conversions from the endless plastic Victrix figures I have lying around……..
To the Strongest : I have a load of Celtic warriors to paint (some as Mobs), some to convert to Roman auxillaries, some actual Roman auxillaries to paint and some Roman legionaries to cast and paint. Krieg Ohne Hass : My Germans, British and Italians are pretty much done – need artillery and anti – aircraft and some more trucks (you can never have enough trucks) – going to just pick these up as luck and deals allow. And finally to the new project……………. I’ve still got the books from when I played back at school in the early 80’s. 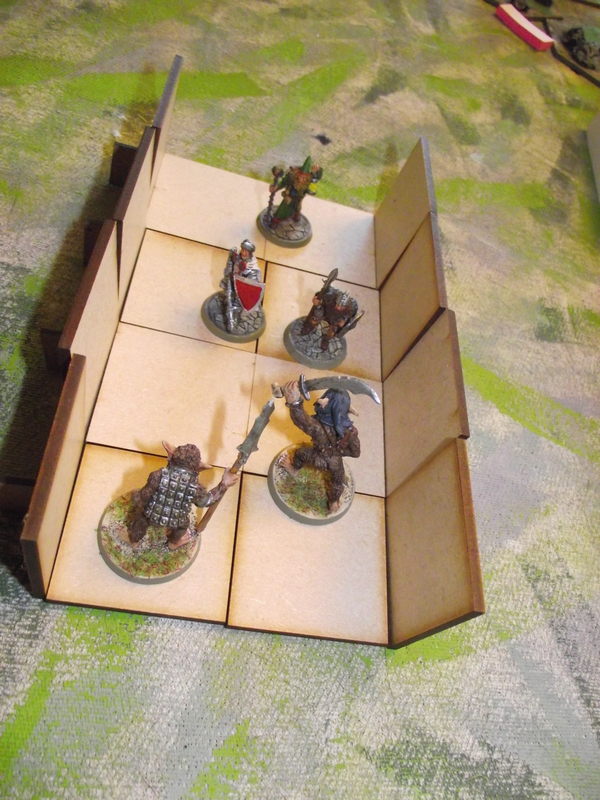 I’ve decided to construct the dungeon tiles myself and then round-up all the various weird, old and wonderful figures I’ve got to ‘do’ a game next time Kevin comes up!! Not sure how to make the tiles yet……….and can’t remember the game but hey………..its a project kicking off now!! !